Many might not expect it but storyboarding does exist in the process of creating your website. Often tagged to production industries such as film or TV, storyboarding is the planning of every output through consequential sketches or something in a similar fashion. Storyboarding your website is important as you will need to have a tangible and visual model of the pages you are going to have to ensure that you are in the right track and that you are saving time and resources. This will also help you gauge how much of a UX (User Experience) can your visitors get from your initial website ideas. 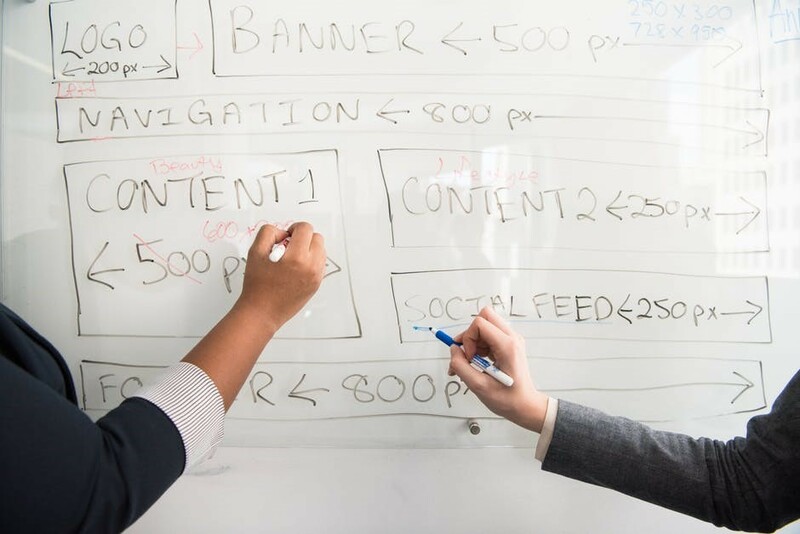 To start, below is a quick guide from Redkite Digital Marketing, a digital marketing company in the Philippines, to help your venture to a storyboarding for a remarkable website design. Website storyboarding usually comes after the brainstorming process wherein the general structure and content of the webpages are finally developed. While you can start storyboarding during the brainstorming process, it’s more organized to do it when all your ideas are gathered together and ripe for a final product. Before storyboarding, the topics and themes in your website should also be ready, as well as how you’ll do the storyboarding. You can adapt different structures for storyboarding such as the linear or the layered format. Just like how it used on filmmaking, storyboarding is an essential procedure and not something you can skip. It organizes things, enforces collaboration, and will provide efficiency to move things forward. When storyboarding, you should keep in mind the users that will browse your website so design a website that is straightforward, easy to navigate, and has elements that are consistent with each other. Sit down and evaluate your demographic, learn their online search patterns, what you want for them to take from your website, how they should find it, and how you can satisfy them. To make things even better for your storyboard, you can gather opinions of your target audience and get inspiration from there. This is what storyboarding really is—preparing your website for your niche. Aside from the proposed visual design, website storyboarding also determines the navigation through your website. This is why most storyboard sketches that you see are in the form of a chart. This can be classified as a sitemap where you will know how pages are linked to another or where a certain link will end up. Separate from this is a storyboard that shows each of the webpages in all their glory, from headings, subheadings, images, and even text used. There is no need to elaborate too much, you just need to show their primary functions as well as adding specific notes as much as you like. You should also number your storyboards so you won’t get confused of the order. For samples and templates of storyboarding, you can talk to your website designer or check out this page. Where you want to draw your storyboard is not covered by any official rules. 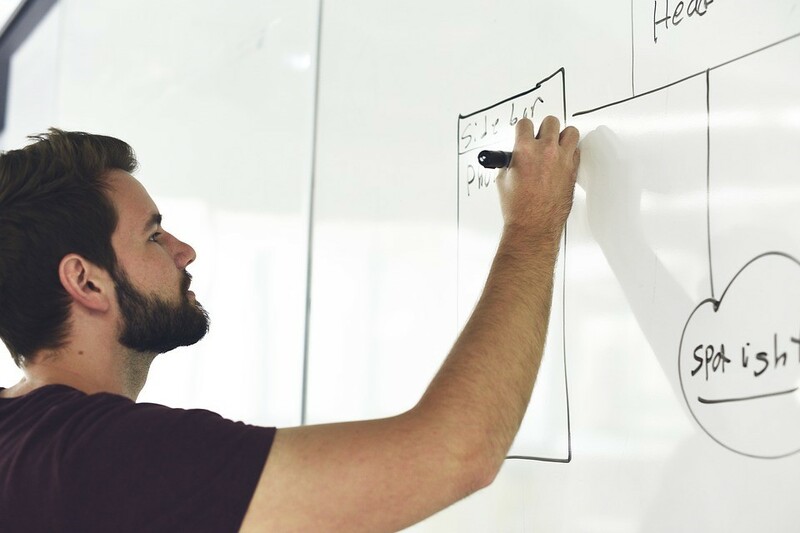 Along with your team or your website designer(s), you can create doodles on pads or do it in a large whiteboard that can be easily seen and easily adjusted by anyone. However, once things are already put into stone, you will need to have an official and presentable storyboard that can be used as a guide for paper prototyping. Final storyboarding can be done through apps or softwares like Dreamweaver, FrontPage, Canva, and even MS PowerPoint. It can also be done using preset graphics opposed to being manually sketched or handwritten. But with our technology of today, you can also combine the manual and digital, like infusing elements drawn by hand to a template inside a software. As we have already mentioned before, website storyboarding promotes collaboration so make sure that everyone in your team has the chance to create storyboards. You can delegate certain topics for a group or have everyone take a shot at a particular webpage. Also, always start with pen and paper so you can easily throw away unlikely ideas and not get too attached. Still, along with your team, choose the very best storyboards that you would think would work and together, evaluate them with the use of pens and sticky notes. Remember that storyboarding can be unique to your team. Do not be afraid to take a different approach especially if it’s best suited to your business or to the dynamics of your team. Storyboarding is one of the many process that you will have to get through to create a successful website. It can be a complex undertaking or a simple one, you will be going to endure lots of trial and errors but if there is one thing you should know as it is all worth it as storyboarding will help you have a groundwork and will make you realize more of the essence of your website. As in the name, storyboarding provides the flow of your website’s story. Yes, a narrative in form of an experience should be found in your website and this can only happen with a proper and well-thought storyboard. Now that you have a better idea of the techniques and the usefulness of storyboarding, it is time to for your imagination to work!